An enterprise near Cave Junction may be Oregon’s first and only producer of recreational charcoal. “Jiggs” Morris in plaid shirt standing with visitors to his charcoal kiln. April 1, 1955, Illinois Valley News, Cave Junction, Oregon. 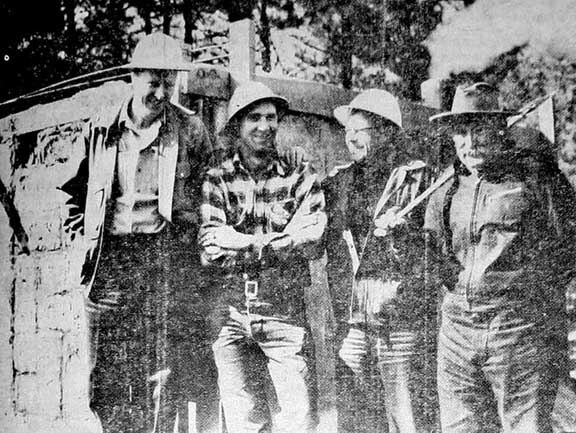 Timber harvesting in Josephine County reached historic high levels in the early 1950s (1) and it was during this time that a local entrepreneur named “Jiggs” Morris decided to convert the “great wastes of the local logging industry” into a new enterprise. In 1952, he started a charcoal production business, which at that time was believed to be Oregon’s only charcoal production plant (5, 6). 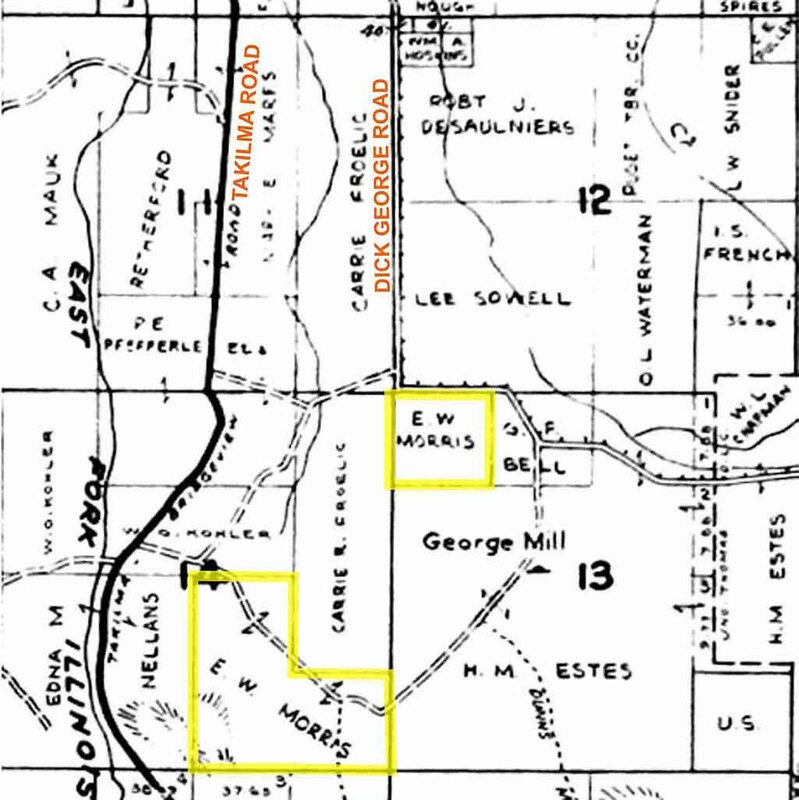 This may appear to be a far-fetched claim but a 1961 map of charcoal production in the United States showed only one kiln in Oregon located in the southwest corner of the state; very likely Morris’ kiln (10). 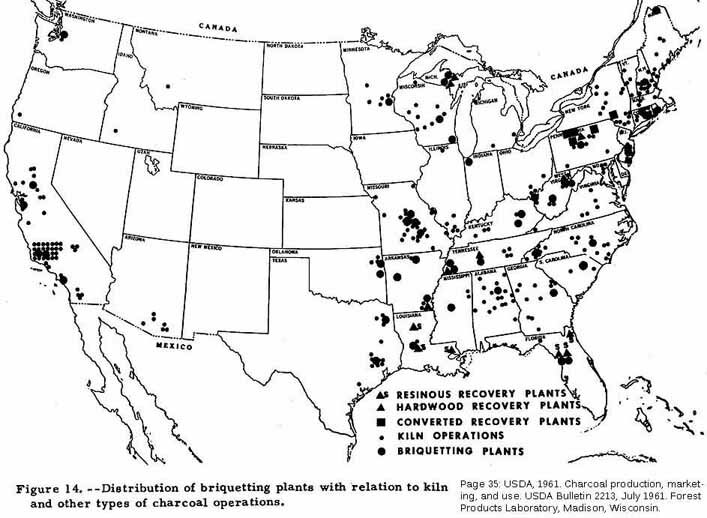 A map showing the charcoal kilns in the United States as of 1961 indicates there is only one charcoal kiln in Oregon. Morris obtained plans for his kiln from the Oregon State Department of Forestry (5) who likely gave him a booklet published in 1946 by an agricultural experiment station in Connecticut titled “a charcoal kiln made of cinder-concrete blocks (13).” The design of Morris’ kiln was very similar to the two-cord kiln described in this booklet. A 1952 news article about Morris’ charcoal production plant said the kiln he built was 6x6x16 feet in size and made of concrete block. It was designed to be loaded with two cords of seasoned wood through a 40 by 72 inch opening (5). The plan for this kiln didn’t include doors for the 40×72 opening and for that reason it had to be sealed shut with concrete blocks and mortar before the fire was started inside. 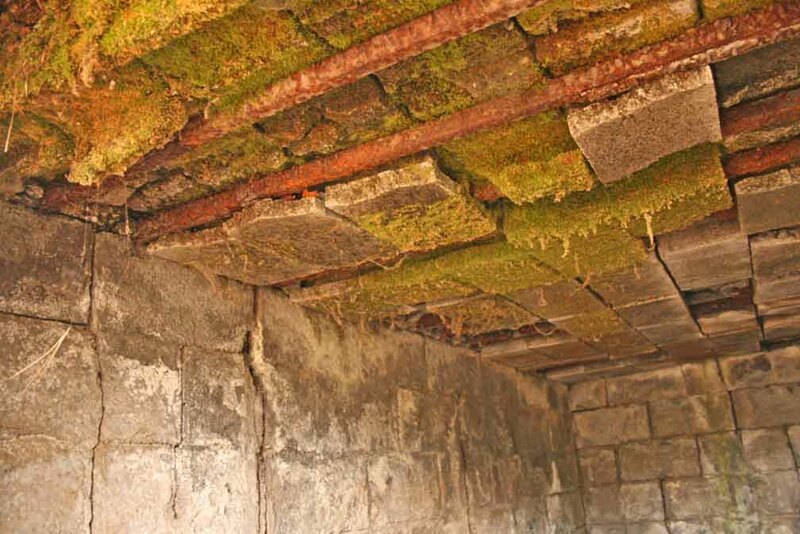 This proved to be a weak point in the structure and a board attached to the outside was used to prevent the walls from collapsing outward from the weight of the charcoal inside. 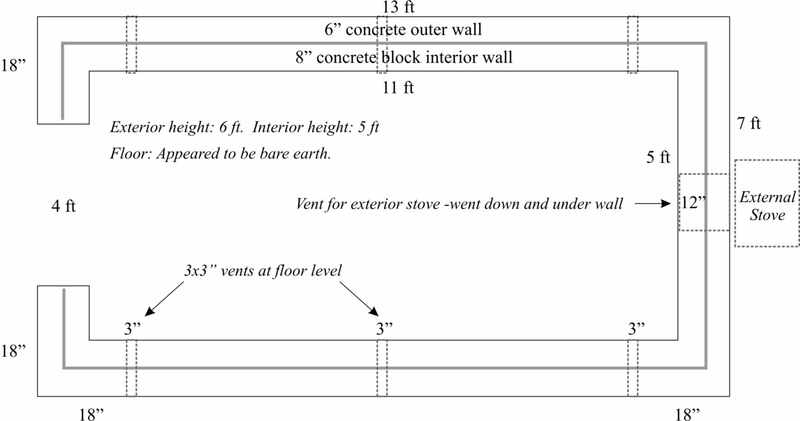 Once the kiln was sealed, a fire was built in an external stove with a chimney outside the kiln to create a draft through the kiln’s, which in turn drew air through the kiln (5, 13). 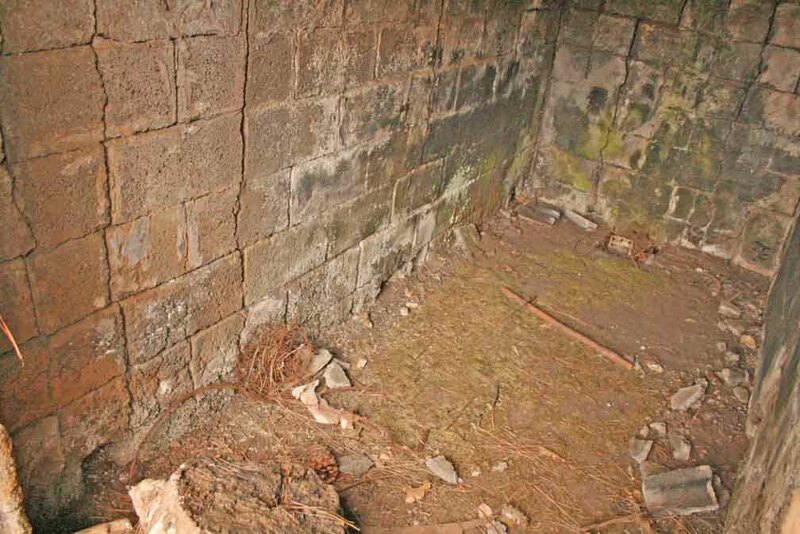 When the draft was established, the sealed-in wood was ignited with pitch sticks through three inch square openings located along the base of the kiln on both sides. 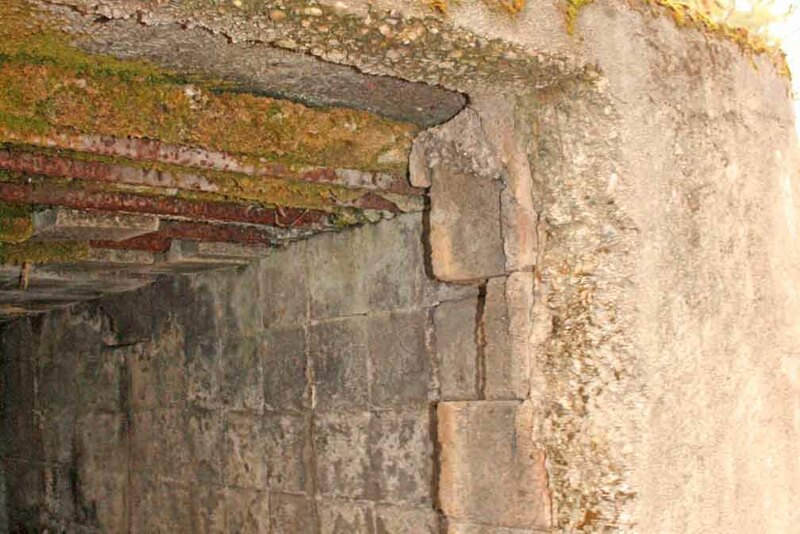 These firing ports remained open for about two hours, adequate time to bring the inside temperature to a level necessary for starting the process of “coaling” (5). Once this temperature was reached, the airflow into the kiln was stopped by piling dirt over the holes. 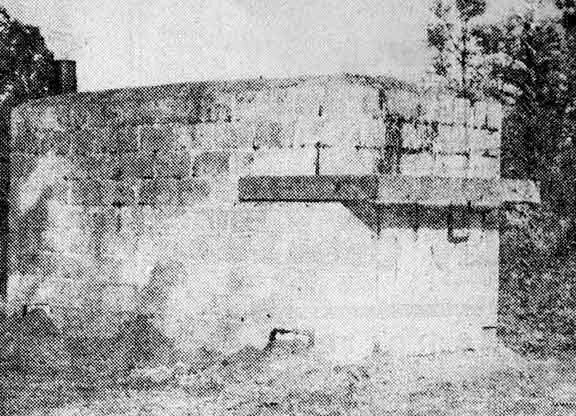 Newspaper photo of the Jiggs charcoal kiln when it was first constructed. The chimney (stove pipe) for the external wood stove can be seen behind the structure on the left. 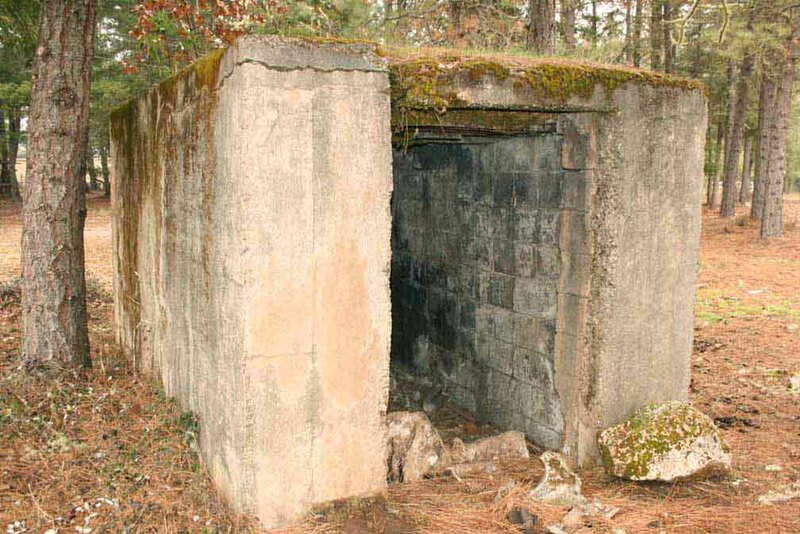 The boards on the right were used to help fortify the “door”, that was sealed shut with concrete blocks. November 22, 1952, Illinois Valley News, Cave Junction, Oregon. Burning inside the kiln was controlled by the opening and closing of three inch inlets along the base of the kiln. Using these openings, it was possible to draw the fire in different directions with the fire always burning toward the openings (12, 13). It took about 36 to 40 hours to completely turn the wood into charcoal and an additional five days were required for cooling. The total time for loading, burning, and cooling was seven to ten days (5, 7). Using this method, the kiln converted two cords of oak and madrone with a combined dry weight of about 7,400 pounds (14) into 1,600 pounds of charcoal (5). Morris planned the construction of several kilns throughout Illinois Valley, which he hoped to collectively produce about three tons of charcoal daily and employ 50-100 men. He expected these kilns, and workforce, to be in full production within 12 months, which would have been sometime near the end of 1953 (5). He would have needed 20-30 kilns producing 1,600 pounds of charcoal each to achieve his production goals. It was unlikely he was ever able to fulfill his aspirations for creating a large charcoal industry in southern Oregon. 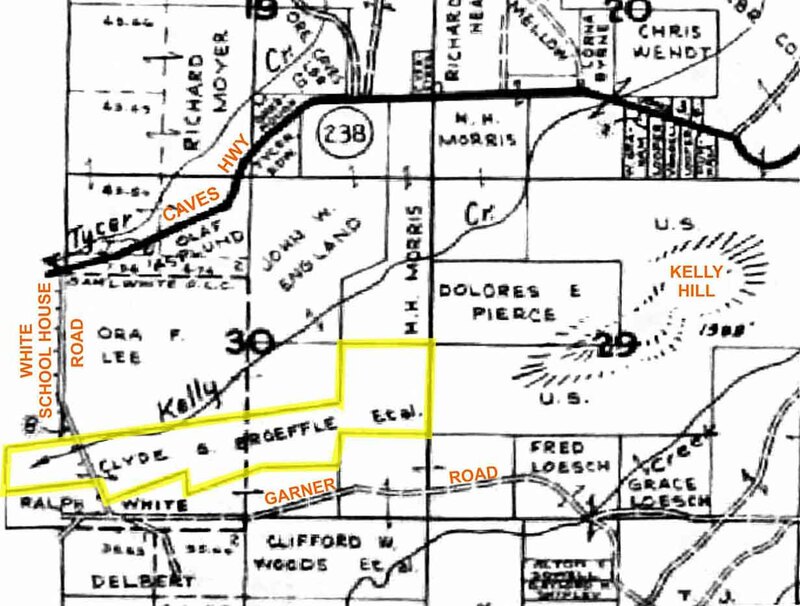 An article published in 1956 mentioned that he had two kilns operating on his property although a third may have been built on property owned by Clyde Broeffle who lived on the eastern side of White House School Road (5, 8). Some local residents recall cutting wood for a kiln located on the southeast corner of the Takilma Road and Waldo Road intersection (15, 16). 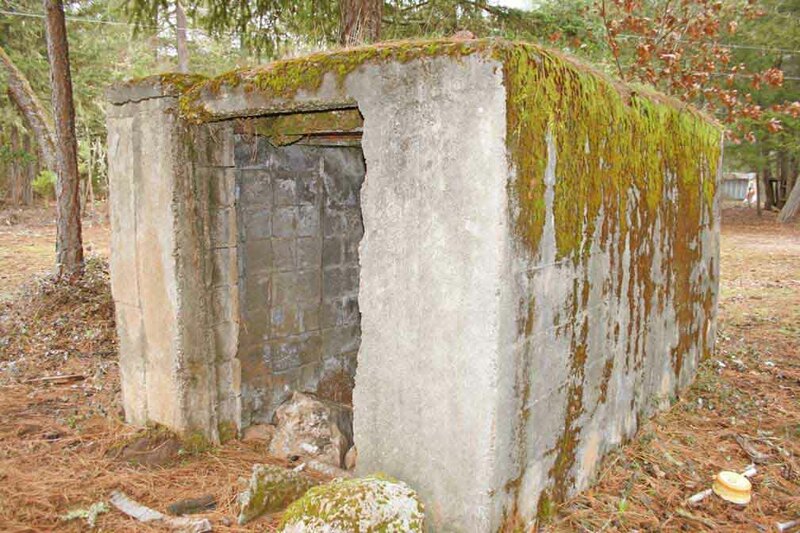 One resident recalled this was a large kiln capable of holding about 10 cords of wood (15), which would be capable of producing about six tons of charcoal over a seven to ten day period. Morris’ idea of starting a charcoal production business in the early 1950s put him on the ground floor of an emerging market. Beginning about 1951, the demand for charcoal as recreational fuel for barbequing began to rise and more production was needed to meet the demand. In that same year, which was also the time that Morris started working on his idea for a charcoal business, there were five briquetting plants in the United States. By 1961 that number had increased to more than 40 with plans for construction of several others (10). It appeared that Morris was on a trajectory for success but the remoteness of his enterprise was one of his biggest barriers. Most people wanted to buy charcoal briquettes and, on the west coast, briquette factories were near large metropolitan areas and many of these were surrounded by small scale charcoal kilns similar to what Morris had set up. Morris could have easily sold his charcoal to these plants but had to pay higher transportation costs to compete with the other kilns. At the same time charcoal production was going up in other places, logging was diminishing in this part of Oregon (1) and it is likely the availability of waste wood diminished significantly. This would have also reduced Morris’ competitive advantages. Charcoal production in southwest Oregon may have lasted about 10 years but Morris’ enterprise appears to have been and may still be Oregon’s only “factory” for production of recreational charcoal. 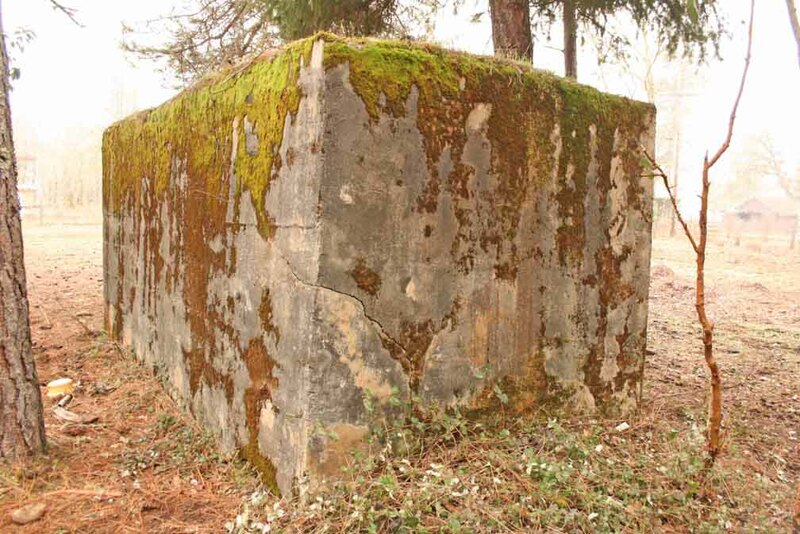 Note: Morris’ kiln was not the first and only charcoal operation in Oregon history. His enterprise is dwarfed by the charcoal production that was done from about 1865-1900 for an iron foundry near Lake Oswego. The majority of the labor force working for this iron company worked in the forest manufacturing charcoal (2). Morris’ kiln represents a new era of charcoal production that grew as demand increased for recreational cooking fuel. 3) Bellinger, Edward, 1956. Charcoal Production. Forest Products Laboratory, Forest Service, USDA. 4) EPA, 1995. AP 42, Fifth Edition, Compilation of Air Pollutant Emission Factors, Volume 1: Stationary Point and Area Sources. Chapter 10: Wood Products Industry, January 1995. 6) Illinois Valley News, April 1, 1955. “Jiggs” Morris Operates Oregon’s Only Charcoal Production Plant. Cave Junction, Oregon. Reprinted story by Harold Olson, Western Representative of American Forest Products & Industries. 8) Metsker, Charles, 1955. Metsker’s Atlas of Josephine County, Oregon, October 1955. 9) USDA, 1957. Production of Charcoal in a Masonry Block Kiln – structure and operation, Bulletin 2084, September 1957. US Department of Agriculture. 10) USDA, 1961. Charcoal Production, Marketing, and Use. USDA Bulletin 2213, July 1961. Forest Products Laboratory, Madison, Wisconsin. 13) Olson, A. Richard and Henry W. Hicock, 1946. A Charcoal Kiln Made of Cinder-Concrete Blocks. Connecticut Agricultural Experiment Station Bulletin 494, February, 1946. New Haven. 15) Campbell, Dale, 2014. Personal Communication. – Kiln at Takilma-Waldo Road. 16) Fulk, Don, 2014. Personal Communication, Kiln at Takilma-Waldo Road intersection.